Rolling Blueprint Stand, Mobile Stand Bundle includes Dozen 36" Hanging Clamps. Everything you need to get organized. We've specially bundled this product with 12 clamps. This Product is made with quality in mind. The caster wheels are wider, the caster bolt is thicker, the tubing is larger for more strength, the paint is powder coated for durability (most other brands are baked enamel paint), and the welds are bigger for more strength. 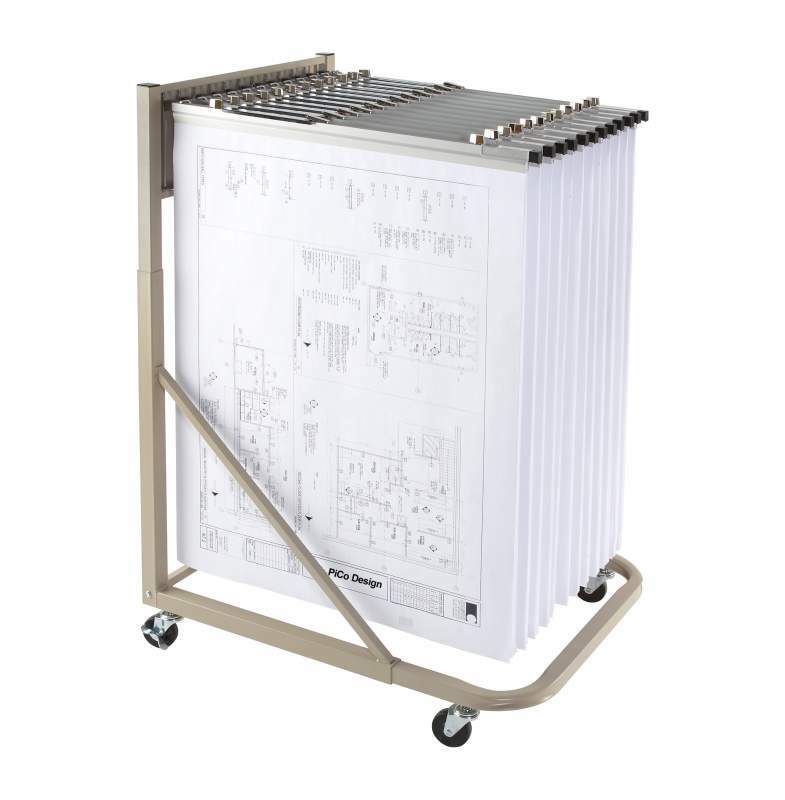 This Rolling Blueprint Stand (aka Blueprint Rack) is perfect for your blueprint files that require mobility, accessibility and ease of use. Heavy gauge steel telescoping frame is made of channel construction to adjust in height and depth. Includes 12 chrome plated pivot hangers that swing wide to allow easy access to drawings and Rack features four 3" ball bearing swivel casters with a locking feature for the rear casters. Finished in a durable sand beige powder coat finish. Easy assembly. Maximum capacity is 1200 sheets (12 clamps x 100 sheets per clamp).